It’s my full-time job—and really my passion—to make sure your interaction with my restaurant is always a great one. While I am part of a large organization, as an Owner-Operator, I’m actually an individual business partner of Chick-fil-A. This brings not only responsibility and accountability, which is good for Guests and our Team Members alike, it also allows me to bring a local flavor to the Restaurant. 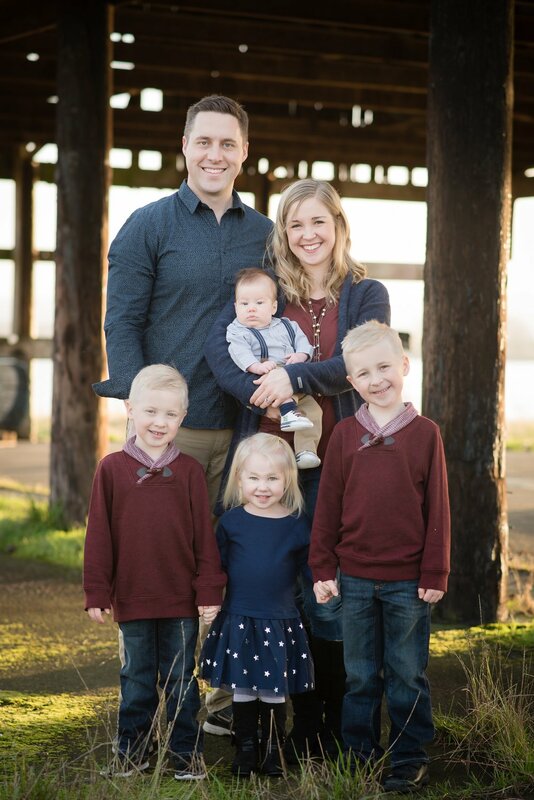 My wife, Aubrey, and I love raising our kids, Alex, Zach, Elena, and Brendan here in Clark County. It’s home. We love the family oriented community while also being able to spend time in the natural beauty surrounding us. The root of the word Restaurant means “to restore or refresh.” We want to be a place where our neighbors can find restoration—where Guests connect with family and friends. We want this to be a place in which our guests create memories, have important conversations, and even heal or restore relationships while being served a delicious meal and genuinely cared for in a welcoming environment. I love meeting members of our community, so if you happen to see me around the Restaurant, please take a few minutes to get acquainted. I truly look forward to meeting you.